As UPS pilots mark the second anniversary of the crash of Flight 1354 on approach to Birmingham-Shuttlesworth International Airport, they are again calling for an end to the carve-out of all-cargo airline operators from new, science-based pilot rest rules. The NTSB in its final report cited fatigue as a contributing factor in the August 14, 2013 crash that killed Captain Cerea Beal, Jr. and First Officer Shanda Fanning. 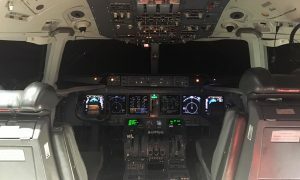 Shortly before takeoff, the plane’s Cockpit Voice Recorder (CVR) captured the crew discussing their own fatigue, as well as their belief that all pilots should be covered by the FAA’s new science-based safety rest rules. “We will not forget the words of our fallen friends in advocating for one level of aviation safety,” said Captain Robert Travis, President of the Independent Pilots Association (IPA). Acting on a Congressional mandate requiring all commercial carriers to use science-based rest and operating rules, the FAA in 2011 issued its first major revision of pilot flight and duty limits and rest requirements (FAR Part 117) in 60 years. An intense, last minute lobbying effort by UPS and other cargo operators resulted in the FAA’s “carve-out” of all-cargo air operators from the new regulations. The IPA immediately filed suit in the D.C. Circuit Court of Appeals challenging the FAA’s Final Rule on both procedural and substantive grounds. A final decision is expected sometime in 2016. The IPA also continues to support the Safe Skies Act, legislation that would immediately require both cargo and passenger airline operators to adhere to the same single standard and use the new science based pilot rest rules. Senator Barbara Boxer (D-CA) and six of her colleagues re-introduced this important legislation in the current Congress on June 18, 2015.